Steven Shaw, founder of go-to foodie website, eGullet.org, sat down with Serious Eats for a Q&A on the new Food Blogging class he'll be teaching at The International Culinary Center. Steven is a James Beard award-winning food critic, author of several cookbooks and a contributor to Saveur magazine, Crain's New York Business and many other publications. Click here to read the article. Food Blogging with Steven Shaw will take place on Tuesday evenings from 6:30-8:30pm, starting April 21. Click here to learn more. 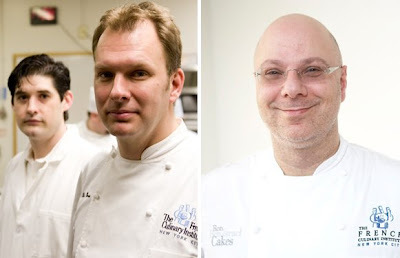 Previously on Top Chef… During the Le Bernardin challenge with Chef Eric Ripert, Jamie is eliminated for overcooking her celery garnish, and Stefan wins again. With only five contestants remaining, we’re getting down to the wire on Top Chef. On this week’s show, aptly titled The Last Supper, Top Chef invites two culinary legends with FCI connections to judge the all-important final episode before the finale. 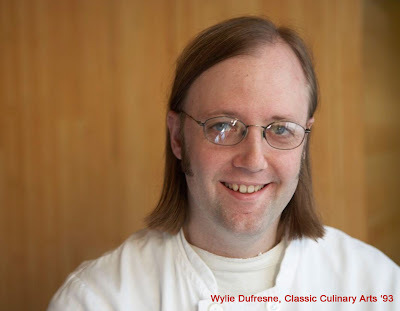 Wylie Dufresne (Classic Culinary Arts ’93) is Chef-Owner of New York City’s highly rated restaurant wd-50. He is widely regarded as one of the most creative and innovative chefs on the culinary scene for his use of cutting-edge technology in the kitchen. Jacques Pépin, culinary instructor, cookbook author, and cooking show host, is a true master of classic French technique. He, along with Julia Child and James Beard, is credited with bringing a love of good food and cooking to the American consciousness. With such a bold pairing of chefs presiding over Judge’s Table, who can guess what the challenge will be? Tune in to Bravo at 10pm on February 11 to find out!